Derek Mathieson is president products and technology for Baker Hughes. DC: The last two years have arguably been among the most extraordinary since the Great Depression, with the double whammy dealt by the credit crunch and violent oil price swings. Although recovery appears to be under way, what is your reading of the current situation and outlook for the oil and gas supply chain? Mathieson: We believe that things are settling down again after the great upheaval. We think we’re past the inflection point in North America, but probably still in the trough on the international front. Looking ahead to 2010, the consensus is that we should see a moderate recovery, particularly toward the second half of the year. One thing we’re watching closely is the supply-demand gap, both for oil, where prices have been recovering, and on the gas side, where they have not. 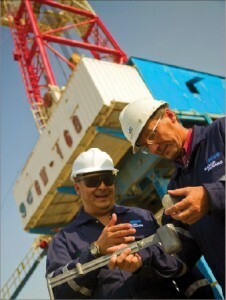 Baker Hughes drilling fluid engineers in Kazakhstan use a mud balance to check the density of a drilling mud sample. The company says that its drilling and evaluation businesses were more stressed in ’09 while its completions and production sector held up. The latter has completely changed, especially with the advent of shale gas in North America. And then there is the growth of LNG supplies and storage to consider. We could see gas markets recover very quickly, but we’re dependent upon what happens in wider economic terms over the next several months and years. If we see industrial demand increasing and that supply-demand gap starting to close again, that’s when one could expect to see wilder swings in terms of prices and activity and vice-versa, therefore further scope for worry among the supply chain. DC: You talk about shale gas in North America, where nonconventional gas has in effect become conventional. Do you think the same future possibility faces Europe, so upsetting the gas markets apple cart as we currently understand it? Mathieson: I think that is becoming more and more likely. I don’t think anybody would have predicted five years ago that, with just one or two key technologies, the rate of change on the gas production front in continental North America would be so great. The potential exists for that to happen in many other places around the world, and we’re seeing the first interest in Europe. However, there are shale gas reservoirs in many parts of the world, and I think it’s only a matter of time before today’s frontiers become tomorrow’s heartlands. I think we’re already seeing some of that transition in play. 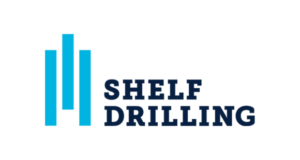 DC: What are the biggest challenges facing the upstream side in the context of drilling/well construction, as the industry seeks to boost production in the face of shrinking oil resources, though possibly not yet natural gas? Mathieson: Frontier areas really are becoming ever more challenging. 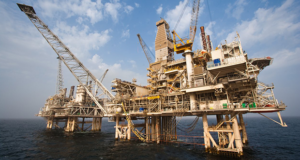 In some environments, especially deepwater, we are reaching some of the fundamental limits of the standard materials used for drilling and completions. 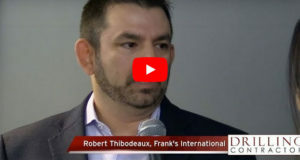 In addition, risk mitigation is a critical concern and is now pushing boundaries in terms of how service companies and operators look at reliability assurance programs and try to figure out that whole transition from product development to commercial deployment. As an example, it’s becoming increasingly difficult to plan out and work through a testing and deployment program where we go through de-risking the technology and proving it before it is qualified for use in these very hostile environments. Continuing on the theme of risk, there’s more and more imbalance between technical risk, which is something we understand very well, and non-technical risks. In many cases the non-technical risks are starting to outweigh technical risks in the frontier areas. Non-technical risk can be associated with regulatory or contractual concerns or geopolitical issues. 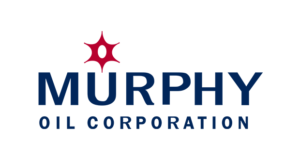 I think operating companies face real challenges in terms of mitigating such risk in some of the areas where we believe E&P activity is going to take place in the next five years or so. DC: If you look at places where boundaries are really being pushed, such as subsalt (pre-salt) in Brazil, Angola and the US Gulf of Mexico, presumably bold companies like Petrobras, BP and Chevron will understand the technological challenges and that mistakes are going to be made? Mathieson: These are very clear examples of where service and operating companies have to work together. For instance, Petrobras is encouraging service companies to come and build technology centers on-site at their research campus, CENPES, so we can work together through to commercialization of some of the technologies required for the next 20 years. Subsalt is a great example. 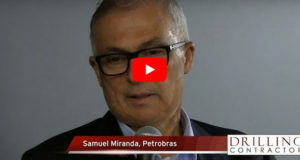 They (Petrobras) have realized that, in many cases, the industry doesn’t have the toolkit needed today to develop the fields that they’ve discovered. But Brazil is spurring some new and hopefully very fruitful relationships on how service and operating companies can work cooperatively on new technology to meet these challenges. DC: Baker Hughes itself has been going through change, not least the acquisition of BJ Services, subject to approval. Can we home in on the different impacts of recent global events on the various business streams within the group? Mathieson: It really has been an interesting year. In general, the completions and production sector has held up pretty well through the turmoil, while our drilling and evaluation businesses have been more stressed. 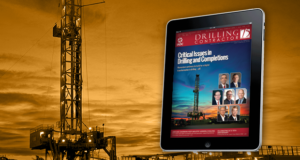 As the drilling rig count dropped off in North America, many of the product lines dependent on this activity were suddenly faced with overcapacity in the market, and prices went into free fall as a result. 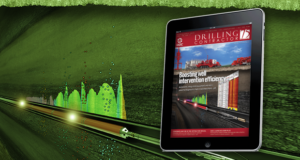 Wireline, drilling systems and drill bits were impacted most in the first half of 2009. That really forced us to go back and look at our strategy in North America. Gone are the days of having a single strategy that works everywhere. Today it’s basin by basin for some businesses, with matching technologies and operations deployment strategies. The shift has forced us to take a closer, granular look at how we’re organized around the world and to figure out the best ways to work with our customers as they confront their various challenges. And there’s an emerging and growing trend toward integration to contend with. Many customers have been receptive to bundling or multiple product line bids, seeing this initially as a way to leverage spend. There is a spectrum of activity in this area all the way through to large turnkey projects, which some of the NOCs have favored recently. I think the whole area of integration is something you’re going to see grow over the next couple of years. DC: But industry goes in cycles. In a few years, surely the reverse could happen with contracts, and companies may organise themselves differently again? Mathieson: To move with the trends, you have to stay close to your customers. In that regard, 2009 was a seminal year for Baker Hughes. In May we moved to a geo-market structure from essentially a divisional product line structure. That was a big step for a company that’s been organized one way for the best part of 100 years in some cases, such as Baker Oil Tools and Hughes Christensen. 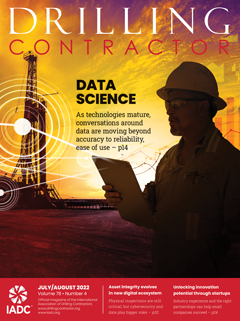 The step to becoming Baker Hughes as one entity was a big one and was fundamentally driven by the need to get closer to the customer … to really understand market dynamics around the world. We now have nine regional presidents who are responsible for sales and operations across all product lines. They’re positioned around the world so we have a much better view of the marketplace and have decision-making authority closer to our customers’ operations. This is helping us look at our customers’ challenges, not from a product standpoint but from a reservoir or solutions standpoint. DC: Baker Hughes financials have taken a hit like pretty much everyone else, as evidenced by Q3 2009 numbers. The dramatic drop in profitability suggests that client oil companies are looking for better deals. Has that played any part on creating the new business model? Mathieson: Reach back about 18 months; that’s when the executive team was looking at the new geo-market model. Our customers wanted one face. They didn’t want to have to deal with seven or eight individual product lines working on well and field development problems. We were planning this reorganization during the up cycle, and during this down cycle we’ve had some time to settle the organization down, work through some of the integration challenges so we can enter the next cycle as a much stronger player. 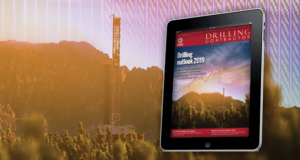 As for the issue of clients looking for better deals, the operating community has been expressing concern for a number of years about the escalating cost of drilling and completing wells, especially in the frontier areas. If you look at some of the elements behind that, a lot was driven by under-capacity at the time … not enough people, not enough equipment, so supply-demand was flipped the other way from where it is today. We had to pay a lot of money to attract people into the industry. We had to put a lot of investment into building fleets (of equipment) for areas that were under-served. Essentially that cycle was spinning one way where costs were escalating for our customers. Market inflection points, and 2009 is clearly an example, are really a chance to level-set everything. Unfortunately a lot of pain comes with that as we are forced to resize or rethink our market presence. It is a reality check. DC: Are the structure changes likely to have any significant impact on the group’s technology development program? Mathieson: I had a look at this going back over the last two or three cycles to see if technology had been impacted. I was a bit surprised that the rate of commercialization has been more or less constant throughout. It helps that many of the big programs are three to five years in length. So, if the trough in a cycle is only a year or 18 months, then it probably only affects the technology development cycle a little. 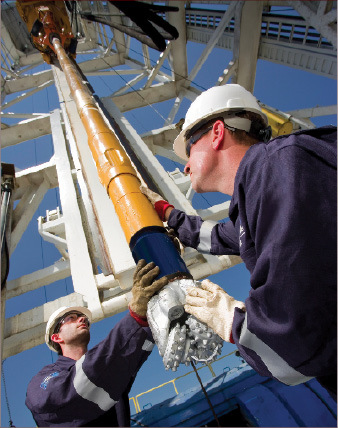 Technicians test drilling equipment at the Baker Hughes beta rig in Oklahoma. 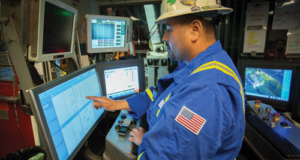 The test facility allows Baker Hughes to accelerate new technology development. Our technology spend year by year since 2008 has been flat. We haven’t backed off any of the programs. If anything, we’ve used 2009 as a chance to take a look at all our projects and clarify which ones should be the most commercially sound over the next few years. As we’ve taken down barriers between the product lines, we’re finding fertile ground for solutions that combine many product lines that we’ll be putting more focus on as we move into 2010. DC: When switching from a product-line-based business to a geo focus, an issue that a company can find itself confronting is the risk of introducing barriers of a different kind – ones that can hinder technology transfer? Mathieson: One of the things we’ve tried to do with the new organization at Baker Hughes is create a management structure that facilitates that transfer and lateral learning process. My group (Products & Technology) essentially owns the strategic marketing plan, which is the strategy and planning process for Baker Hughes. This group spans the product lines; so we don’t actually have barriers anymore from an organizational structure. The critical role that the product lines play is ensuring a common global approach in their area of expertise across all of the regions. We have to share best practices and learn from our mistakes. We also created, at the time of the reorganization, an enterprise-wide reliability and quality function. This group is acting as the glue across all the regions in the area of product and service quality. They have introduced one quality management system for Baker Hughes and one organization facilitating all of the root-cause analyses in the field, supporting our continuous improvement program. DC: What are the big technology challenges in your view? Mathieson: Our near-term portfolio is really focused on a range of solutions in the MWD/LWD world. For me, that remains one of the most technologically active and rapidly growing parts of the sector. If you look back over the last few years, you can count many tens of new innovations that have emerged in this area. That space race isn’t over by any means, and success is pivotal to unlocking some of the biggest challenges for our customers going forward. Near-term, that’s where the razor focus needs to be. Very close behind that is completions, and one of the really critical aspects is next-generation sand control. 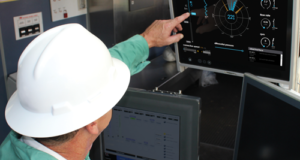 If you look at a lot of the deepwater fields around the world, sand management in general still seems to be one of the biggest elements in the ever-more challenging wells that our customers face. 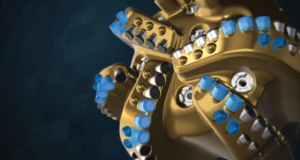 We’re looking at pulling a range of things from the Baker Hughes portfolio together to deliver what we believe are game-changing ways of looking at a reservoir-driven sand management strategy with a number of new technologies in the mix. I think that’s going to be a pretty exciting area over the next few years as we bring some of these technologies to commercialization. That brings me back to one of the earlier comments about conventional technology at its limits. Look at deepwater and HPHT, where we and others are pushing the boundaries of the materials used, especially metals and elastomers. I’m excited about the work we’re doing with nanotechnology. We are working with fundamentals here, designer molecules, to fundamentally change some of the toolbox we have to work with for next-generation products. I really believe this is one of the research areas that’s going to unlock some of the tools – materials – that we require to build the solutions needed for tomorrow’s challenges. It may be a few years out, but I’m confident we are already gaining traction. Derek Mathieson joined Baker Hughes in December 2008 from WellDynamics, where he most recently served as chief executive officer. He holds a Ph.D. in micro electro-mechanical systems from Heriot-Watt University in Edinburgh, Scotland. Pre-salt Oil Discoveries in Brazil: What now? 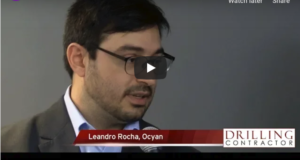 This event marked an important moment for the Brazilian oil industry, because recent discoveries in the world oil scene have been rare and also because Brazil has always carried the title of eternal latecomer in the race for oil. The Brazilian oil industry was, until then, a classic case of sudden success but with limited potential.